The writing prompt for today over at NaBloPoMo asks ” Have you ever wanted to enter a book?” My easy answer? I’ve entered books, many many times. Not only does a really great author make me feel as if the world on the page is within my fingertips, they also color my soul with shades of mood and atmosphere that tend to bleed onto my reality. Over the years, my life has lined up, fantastically, with certain books I have read at certain times. Here are some that stand out: ( Second part to come later this month ). Every girl of my generation can lay claim to this book as her very own guide to growing up. I devoured this one secretly, hidden in the halls of my Catholic elementary school at lunchtime. After school, I would go to play with my best friend, Irene, and she and I invented a secret handwriting code, did breast-building exercises ( Those who know me will say I did them too well!) and wondered about the mysterious bleeding that was soon to happen to us, all inspired by this book. 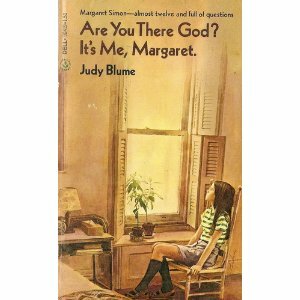 I read everything Judy Blume wrote, and she told young girls the truth. She was our “Google”, and knew how to package the information in an amazing storyline. 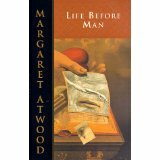 Life Before Man by Margaret Atwood and Where Are You Going? Where Have You Been?” by Joyce Carol Oates. In my late high school years, I discovered this Margaret Atwood book at the library. This set off a binge of reading everything by her that I could find rooting around on the shelves. In my freshman year at university, a prof suggested that if I loved Atwood, I would also like Joyce Carol Oates, and I was introduced to this collection of stories. Through these years, where I thought of myself as a woman, but was still very much a girl, I felt so connected to the Atwood and Oates female characters as I read book after book. These women were oddly beautiful, quirky, brave and tragically foolish. They were all usually at a point of crisis, a point of collossal change. I was a young woman in love with a life that hadn’t really started yet, but I knew was coming, and I treated these novels as a preview. 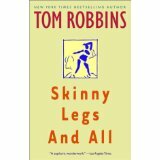 Tom Robbins is a joyful master with words, and reading any book of his has always been a consuming experience. This book was my introduction to him, and I read it in my graduating year of university, right before I launched myself headlong into a disastrous, crazy, heart-ripping love affair with a man who didn’t really love me. I followed him to St. John’s after graduation, partly because I didn’t know what to do next, but mostly because I couldn’t bear to be away from him more than a day. While I was caught up in the game of push and pull that we loved to play, I reread this book to try to remember something that was getting lost. I gave him a copy of this book, too. An aspiring writer himself, he loved the writing, but didn’t get the message. After getting my heart pummeled, I decided to leave and moved to Halifax in Nova Scotia. My soon-to-become dearest friend, Didi, was in a similar situation and we decided to take on the “big city” together. I don’t usually go for fantasy books, but Didi had gotten absolutely lost in this novel, and lent it to me to read. 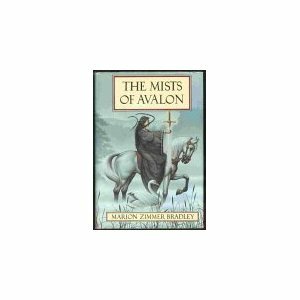 This book is a retelling of the Arthurian legend from the point of view of the female characters. It was grand, sweeping and filled my life from the moment I picked it up. It was the perfect book to read while I was getting over the ex-boyfriend, as I could not only escape into fantasy, but could also revel in the theme of female power. In the book, Morgan Le Fay, a tiny wisp of a woman, can put on her “glamour” to make herself irresistable and commanding. Didi and I used to joke about “putting on our glamour” before a night out at the bars. When we believed it, it worked. There were girls that were prettier, taller, thinner, more girlish, yet when we put on our glamour – that attitude of specialness – we could do no wrong. Oh, this book. I blame this book for most of my life after 26. This is the true story of Marguerite Duras’ affair with a wealthy Chinese man when she was a high school girl living in Indochina. The writing in this book is so exquisitely stark and sensual, it created an outline of a lover that I felt compelled to fill. I read this book towards the end of my time in Halifax, watched the movie which is also one of my favorites, and very shortly after I met a Korean guy who was studying English. Until then, all my boyfriends had been caucasian, mostly Newfoundlanders, and I saw “Jino” as a friend, only. One night very shortly after we met, he came over to my apartment where he confessed that he wanted more. I lowered the lights and kissed him, mostly out of curiousity. His skin was velvet, and as I watched the moonlight play with the strange angles of his face, a new possibility was understood. Jino and I remained friends after a very short romance, and Didi and I spent time with the Korean contingent in Halifax, where we quickly got the idea to come teach in Korea. Marguerite Duras, an unexpected kiss, and the resulting attraction to the exoticness and mystery of Asian men paved a direct path to my life here and my marriage. Imagine if I weren’t a reader?